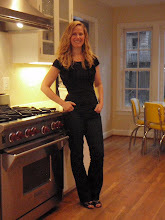 This is my pal Sarah's dining room. 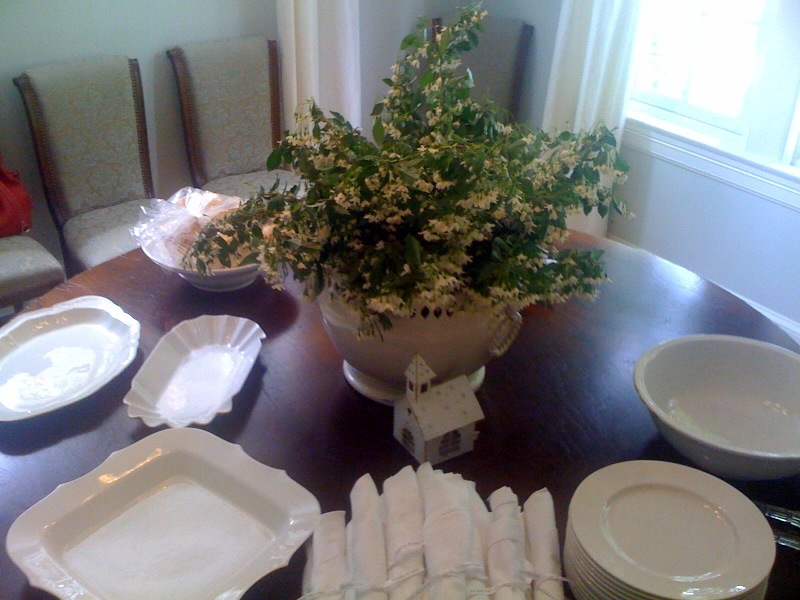 It's all ready for her First Communion buffet. Could this be any more fabulous!!! 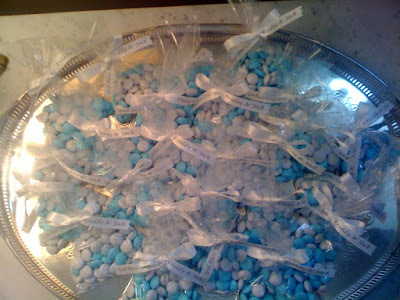 Below are her little favors --blue and white candies tied with personalized ribbon --paleese!! Too wonderful --can you read what the ribbon says? They say "God Bless Freddy and Jack". I love it.